← Better Safe than Sorry…How I Wish I Had Enrolled Jonah With Pet Insurance Much Sooner. Owning a dog can be an amazing experience. In my own life, my two children, who are now grown adults, grew up with dogs, and the memories we had with them were priceless. Our pets dogs were part of the family . We watched television with them, played outdoors with them, and even took them with us on family vacations. However, although it is great to have dogs as family pets, there are some precautions that comes with having them. What if your dog ends up destroying property or becomes hostile to another dog or human? We do not ever want this to happen. Go on a learning journey with your pooch. Whether you acquire a puppy or an adult dog, adding a new member to the family offers you the opportunity to teach and learn new things. While you can always train your dog yourself, there is no substitute for what a professional dog trainer can provide. 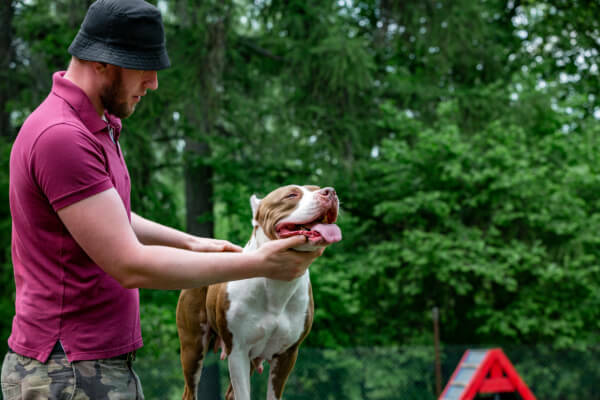 The sessions can lead to excellent pet behavior in all scenarios and exceptional dog handling on your end. Get to know your dog. It’s important to be aware of your dog’s character. Does he like to be around people or other dogs? Never force the issue and respect your dog’s wishes when it comes to this matter. After all, things never end well when an animal is forced into a situation where it feels threatened. Introduce your dog to other dogs, and people. It’s important for your puppy to have contact with humans and dogs alike, so they may learn proper behavior and would be safe to take in public. I suggest scheduling play dates with other dogs so your dog will be able to adjust to different dog breeds and their personalities. Know what you’re doing. You cannot just rush into buying a dog without educating yourself about the dog’s breed, behavior, temperament, diet, among many other things. You have to know that adopting a dog is a big deal because, number 1, you’re not just welcoming it as a pet, but as a member of your family; number 2, it’s your duty to provide it a good life; and, number 3, having a dog around also impacts the lives of your family members. Never rush and do your research. No two dog breeds are the same? Do you want an active dog who you can run or play frisbee with like a Labrador retriever or an a not so active dog like an English bulldog you can watch TV with? Talk to friends and ask them their experience with the dog breed they currently have. It is important to note that some breeds can be aggressive and may require training by either yourself or a professional trainer. Finally, it is wise to get pet insurance. This way if your dog would get sick or injured, you will be prepared. I suggest you check out the pet insurance reviews with TheInsuredPet.com, and see which pet insurance plan would work best for you and your pet. Get in touch with The Insured Pet for more dog safety tips and information on pet health care and insurance.